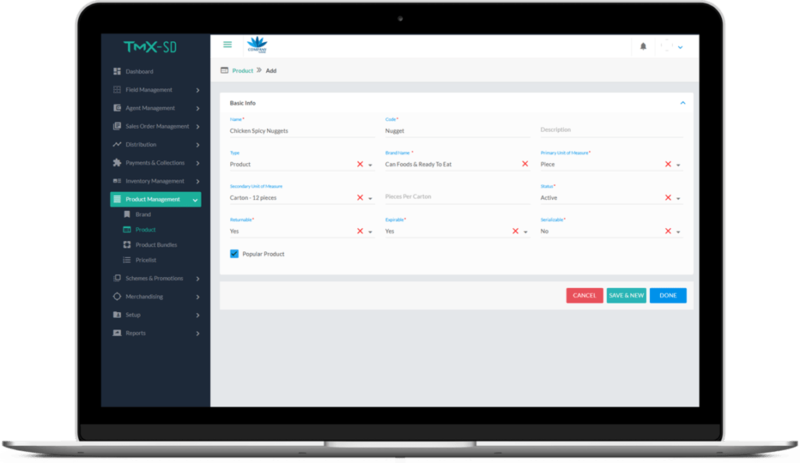 create shipments, raise invoices and collect payments. Define multi-level brands to categorize products. 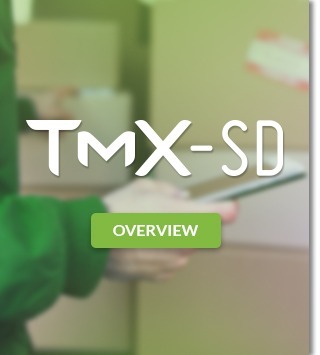 Define SKUs and related information, either managed entirely within TMX-SD or integrated with an external ERP application. Bundle products for a promotional period. Define pricing for each product. 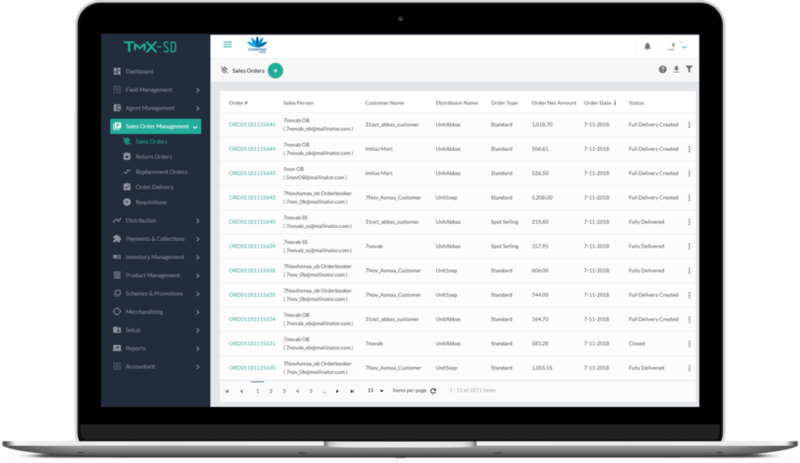 Maintain multiple price lists, such as different lists for distributors and retailers. Define and manage n-level hierarchy of locations. Map customers and field sales agents to locations if desired. 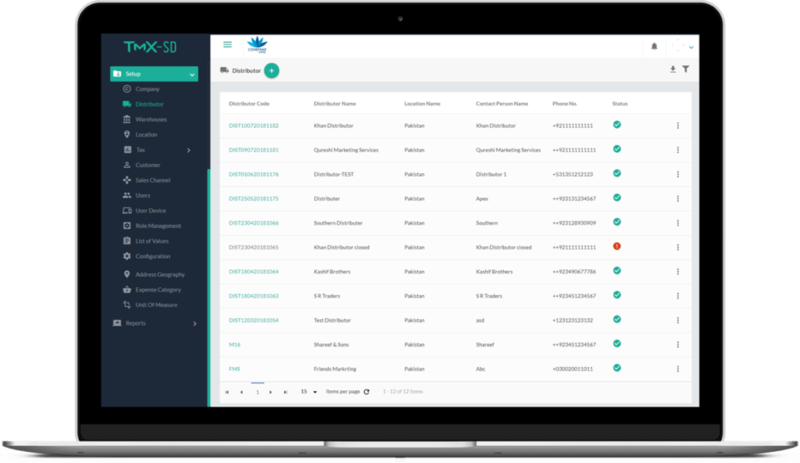 Define and manage Distributors in the network. Each distributor can have sub-distributors to cover small towns. Define and manage retail outlets that are supplied goods by distributors. Accept orders from mobile app and online portal. Plan full or partial deliveries to fulfill an order. 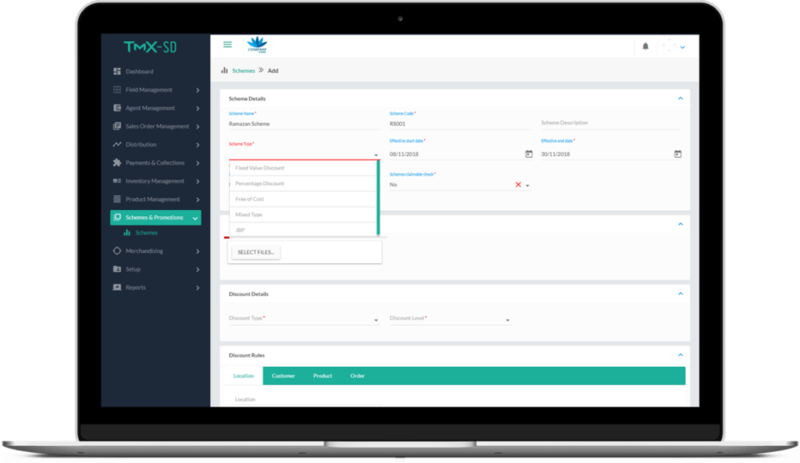 Auto-generate invoices based delivery documents. Define and apply a powerful range of sales promotion schemes. Structure attractive offers based on SKU, customers, or any level of geographical location hierarchy. Apply schemes based on a range of parameters such as amount of sale, percentage discounts, weight, quantity, etc. for a specified period of time.